If you want us to consider you for our station don't just send a link. That's plain rude in our opinion! 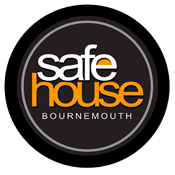 Introduce yourself, tell us why you want to become part of Safehouse Radio? What it is about music and your chosen genre(s) etc that drives and inspire you? If you really feel like it what you had for breakfast! I'm afraid we have no where for you to post a picture of it unfortunately. Basically be nice and we'll be nice back!